During the Berlin Fashion Week in January 2014, the Dutch Eco Design Show put a spotlight on sustainable fashion designers and brands from The Netherlands. 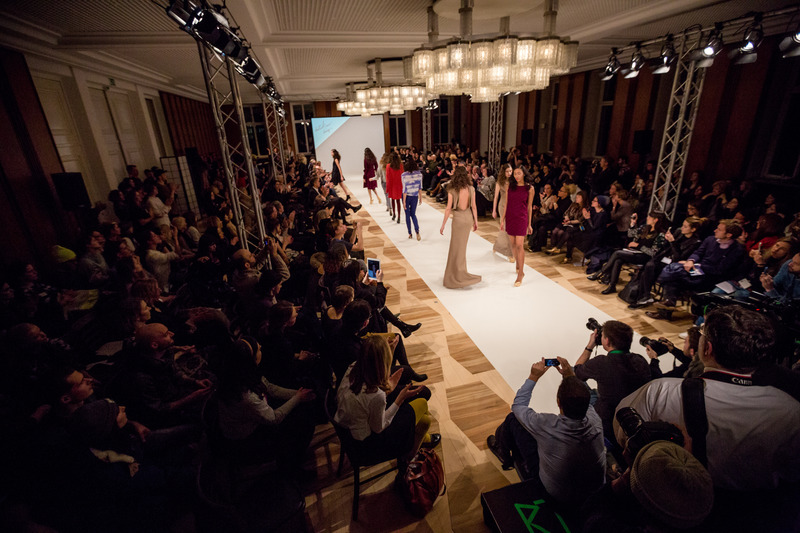 The show took place at the Kronprinzenpalais, and was part of The Netherlands as official partner country of the Ethical Fashion Show Berlin and Green Showroom. The topic of sustainable fashion has strong roots in The Netherlands, many Netherlands based non-profit organizations have played pioneering roles in the field, such as Solidaridad, Fair Wear Foundation, Fair Trade, Made-By, Clean Clothes Campaign, and the Greenpeace Detox Campaign. The current Dutch minister of international development Ploumen has positioned herself as an active supporter of labor rights and even named and shamed companies who did not commit in time to a treaty to improve the conditions for workers in the Bangladesh textile industry. The Dutch support for sustainable fashion looked good – see for yourself in the video below. We’re looking forward to see more Dutch Eco Design at the next fashion week!